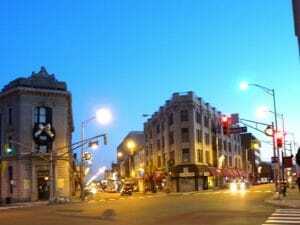 Journal Square is a great example of a mixed use nabe. Here you'll find commercial, residential, and educational options all in one compact place. It has the dynamic but friendly atmosphere that is attractive to all walks of life and, as such, it is on the cusp of a development renaissance. For the time being, Journal Square has a small city feel that offers the combo of restaurants, stores, bodegas, and people required to keep urban life interesting. Noisy, sometimes crowded, sometimes iffy, depending on the time at night…but it is definitely an easy commute to NYC via the PATH, with decent parking lots around the station. The area is not a hang out location. It is more of a transitional place for commuters. 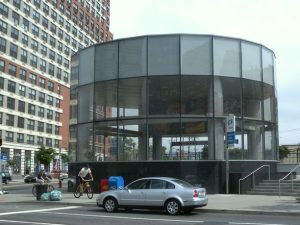 The PATH station and JFK Blvd have a wide array of stores which comes handy for us commuters. The 24/7 cab service outside the station ROCKS. Hardly any wait, ever! The farmers market right on the square! As a haircut, Journal Square is more “business in front” than “party in the back”. It is defined by large private development, as you can see with the new CANCOpark, which is obviously not a name the public would choose for its greenspace. Still, it will be open to the public and will be better than the parking lot that is currently there, and since it will probably be the ONLY park in JS, I can’t really complain. But the area has obviously been “discovered” by developers, and offers plenty of lofts and condos. Since its really accessible by car or PATH, and cheaper and slightly less yuppified than the Hudson waterfront neighborhoods, I can only imagine that it will continue to grow. 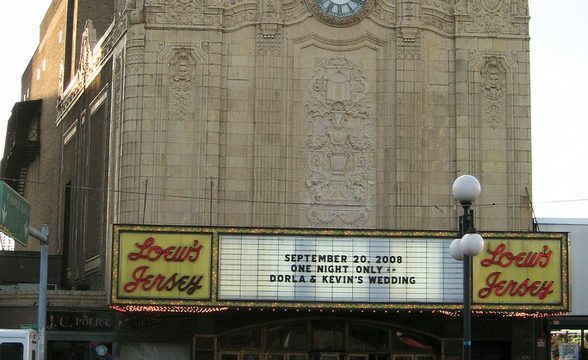 Journal Square is a biggish area that encompasses other parts of Jersey City, including Five Corners, India Square, Marion, and McGinley Square. I don’t really know of a part of Journal Square that isn’t a part of one of these, except maybe north of the Skyway, but I’m not sure I would call that a neighborhood exactly. Anyway, there are plenty of good restaurants along Newark Avenue, which is accessible and usually busy because it basically cuts JC in half. And it seems like a lot of new buildings are going up, so it might be close to getting that critical mass of residents and business that make it really swing, and then maybe people won’t have to go elsewhere for recreation and nightlife. I have explored Journal Square in a 3 or so block radius right around the Journal Square path on foot, and I have driven around the neighborhood in my car. I felt just a little nervous when I was on foot, and I don’t think this is the safest area. It’s also a little grungy, a little dirty, and definitely has a poorer vibe than nearby neighborhoods like Pavonia Newport, Grove Street, Hoboken, and Weehawken. That said, the area is certainly affordable with excellent public transportation into the city. As a result, Journal Square is a great option for students, artists, and folks who are building up their lives. 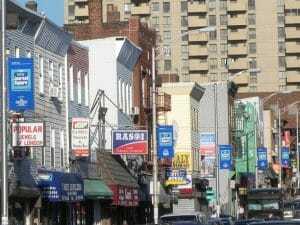 In many ways, it’s a rare kind of place -to live for so much less than typical NYC prices, and be so close to the city! And there are certainly areas that feel much more unsafe. Not a bad option from that perspective.